THURSDAY, Jan. 4, 2018 (HealthDay News) — The number of Americans who die each year from inhaling fine-particle pollutants has dropped dramatically since 1970, thanks to laws that originated from the U.S. Environmental Protection Agency. That finding stems from an investigation, led by Massachusetts Institute of Technology (MIT) researchers, into the impact of EPA rules enacted by the 1970 Clean Air Act and amendments added to it in 1990. The legislation regulated air pollutant emissions and promoted efforts to find clean alternatives. The EPA itself had estimated in 2011 that the agency’s efforts had translated into an estimated 100,000 lives saved every year from 2000 to 2010. However, the MIT analysis found that the EPA had underestimated its impact. The agency had neglected to factor in the effect of its efforts to limit exposure to so-called “organic aerosol,” the researchers said. That’s a pollutant that stems largely from such things as car emissions, residential burning and wildfires. The decline in organic aerosol may account for more lives saved than the EPA had estimated, according to the MIT report. “There are costs and benefits to implementing regulations such as those in the Clean Air Act, but it seems that we are reaping even greater benefits from the reduced mortality associated with particulate matter because of the change in organic aerosol,” Ridley said. He’s a research scientist with MIT’s civil and environmental engineering department. The MIT findings were published online Dec. 26 in the Proceedings of the National Academy of Sciences. 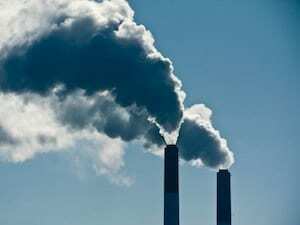 The U.S. Environmental Protection Agency has more on air pollution.